Ok so what is all this talk about nerve pain relief? 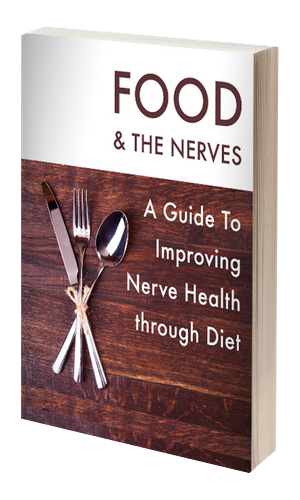 It may be hard to believe for those who have endured nerve pain for so many years without any luck of finding an effective nerve pain treatment but it is true! Neuropathy has been for many years one of those chronic conditions that when a person is diagnosed he or she is devastated by the news and struggles to maintain a normal functioning life after being diagnosed. The reason that life seemed so bleak was due to the lack of treatment options accessible to those who had been diagnosed with neuropathy. Neuropathy affects millions of men and women each year around the world. Neuropathy is a complex condition of the nerves which implies that damage to the peripheral nervous system has occurred. When damage to the peripheral nervous system happens, it means that a breakdown in communication between the brain, spinal cord and the nerve cell endings has developed. A breakdown in communication is serious due to the ramifications that could occur as a result. The brain is unable to communicate to the nerve cells that the surface the hand is reaching for is hot or that the foot has been injured and is in need of attention. The delayed response from the brain to the nerve cells could cause the neuropathic patient further injury in several different ways. Neuropathy is often had in the hands and feet and if the feet are numb then walking becomes challenging as well as sensing any damage to the nerve cells. Tripping, stubbing toe or losing balance would not normally be a big concern for an individual but for someone with neuropathy it is a big deal. The sensations alone that come with damaged nerve cells are painful and nerve pain treatment is the only way one can effectively experience relief of any kind. Nerve pain treatment options can be discussed with your medical professional; the following list provides a few nerve pain treatment options that can be discussed between yourself and your physician.